On Monday children in year 3-6 took part in a special pilot assembly planned and organised by Team Margot for the NHS. 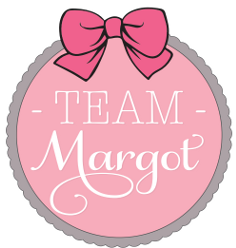 Margot was a little girl who died at the age of 2 years and 2 months following a struggle to overcome leukemia. Despite their attempts to find Margot a bone marrow transplant a match came too late for Margot. Her dad and aunt attended the assembly. The assembly focused on looking at all kinds of ways that people help others; be that emotional, physical, or community support. It also explained that bone marrow transplants and giving blood are two ways that people can help others they may not know and may save lives. The children were asked to complete a survey about the assembly and received wristbands, stickers and leaflets to take home and discuss with you as parents. The aim ultimately, is to encourage more people to step forward and offer help in this way. We hope that your children have shared what they learned with you. If you are interested in becoming a donor, please speak to Lisa at the school gates.